Goldbet Casino is not just focused on providing casino games. The games are just a small part of the larger offer which would include; live betting, bingo & poker. But the casino remains attractive and deserves to be evaluated. The promise of a high level of enjoyment is made by the casino staff. Therefore, it is good to know whether the entertainment is truly as enjoyable as advertised. A player who enters the main site will be exposed to banners featuring the newest games at the venue. This is the way in which the casino wants to expose the featured games. New players are in a good position in terms of benefits. Goldbet Casino bonus deals extend to the first-time visitors. The welcome bonus offer features a 200% up to €300. Fifty free spins are provided with the generous welcome bonus. The creation of a Goldbet account allows the players to benefit from the deal. However, a condition is attached to the promotion - a €25 transfer must be made beforehand. Affiliate website visitors can also benefit from the promotion. There are plenty of other promotions. For the most part, the promotions are relevant to players who use the non-casino sections of the website. The language support scroll-down menu shows several languages including; English, Italian, Russian, German, Spanish and Bulgarian. The site's primary language is Italian. The social media messages also appear in that language. All financial transactions can be done using several outlined methods such as; Visa, MasterCard, Skrill, Neteller, PaySafeCard and a few others. The website guarantees safety and security in the transaction process. Wagers can be placed without any downloads. However, the download-based software is also available here. The aforementioned language support is a good indicator of whether the casino is interested in reaching a broad audience, or having influence inside a smaller market. In the case of Goldbet Casino, the global reach is evident. The website definitely draws a lot of visitors who speak Italian due to the strong Italian influence. But it can also attract people who speak the other languages for which the support is provided. Many cool game are shown in the "featured game" category. Here are a few of the titles that the staff endorses; Twin Spin, Chilli Gold, Common Draw Roulette, Dead or Alive, Virtual Champions, Virtual Soccer, Starburst & Blood Suckers. These games have some really impressive graphics. The new games provide even more entertainment. Lately, the staff has added the following games to the already rich selection; 300 Shields, Hooks Heroes, After Night Falls, Fumi's Fortune, Dazzle Me, Sushi Express, Fruit Zen, Battle for Olympus, etc. It's nice to see a casino with a fine reputation. There were some complaints about the refusal to pay money. These complaints have since been resolved. The website promises to offer help to anyone with a question. In fact, it has multilingual staff on board. They are prepared to address the player in his/her own language, which definitely helps in the communciation process. Goldbet Entertainment Limited is licensed to offer casino games by the Malta Gaming Authority. This licensing body has been positively evaluated. 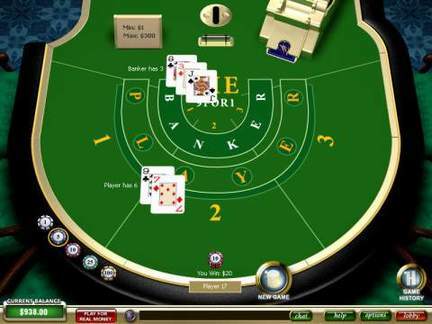 Malta was the first EU country to provide a strict regulation of online casinos. They are doing a better job than some of the other jurisdictions which remain popular with online casinos. There's not a whole lot of promotions at Goldbet Casino. I had a bit of a problem with the fact that only a few promotions were highlighted at the time of my visit. On the other hand, the game offer was quite good. I did not sense that the game section needed any serious improvements. I've also seen some interesting new games in that section. I have a strong desire to come back to the place. I am hoping that some changes will be made and the promotions section will look more inviting.